The New York Knicks ended another season without making it into the playoffs, with a success against the Cleveland Cavaliers. 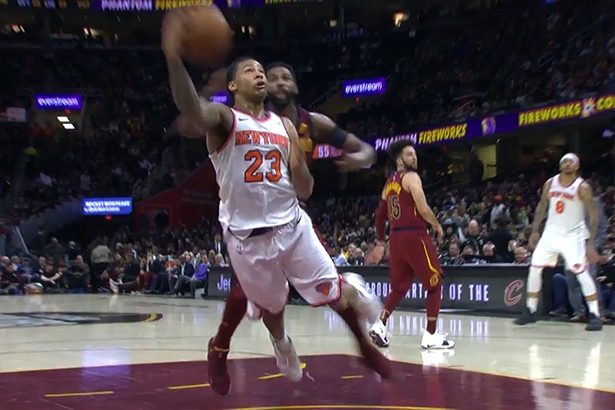 With LeBron James and most of their starters being limited to just 11 minutes or less, New York cruised over Cleveland to a 110-96 victory at the Quicken Loans arena. The Knicks were led by rookie Luke Kornet who scored a career high 23 points in 28 minutes, shooting 9-14 from the field, including 4-7 from long distance. Trey Burke added 19 points and was just one assist away of a double-double while Frank Ntilikina dropped 16 buckets. The second quarter marked one of the best periods for the Knicks, when they outscored their opponents by a margin of 20 points. From that moment on, the game was in the books. James, who played his 82th game of the season set a new personal record, being for the first time in his career when he carried out a regular season without missing a game. With this win, the Knicks now fall to 9th lottery seed and still hold a big chance of picking only 10th, while the Cavaliers, who own Nets’ pick, will most likely select before New York.